One Dead In Boca Raton Area Crash Near Powerline Road and SW 18th Street | Schuler, Halvorson, Weisser, Zoeller & Overbeck P.A. Authorities continue to investigate a three-car crash west of Boca Raton that left one person dead, the Palm Beach County Sheriff’s Office said. The happened at the intersection of Powerline Road and Southwest 18th Street. All lanes were closed to rush hour traffic on Powerline. According to a sheriff’s office report, the person killed was in a vehicle traveling north on Powerline. As the vehicle approached the Southwest 18th Street intersection, it rear-ended a car waiting to turn right off Powerline Road. The first car then continued north, crossing Southwest 18th Street at a high rate of speed before the driver lost control, drove onto a raised median and struck a tree, the sheriff’s office said. 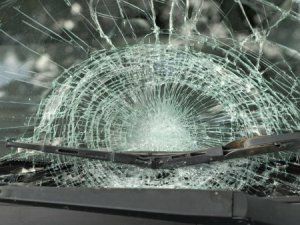 According to the report, after striking the tree, the vehicle continued into the southbound lane, where a vehicle headed south collided with the out-of-control car. First emergency arrived at the scene shortly after the crash happened and the injured victims were transported to a nearby hospital.